The moment you have all been waiting for is finally here! 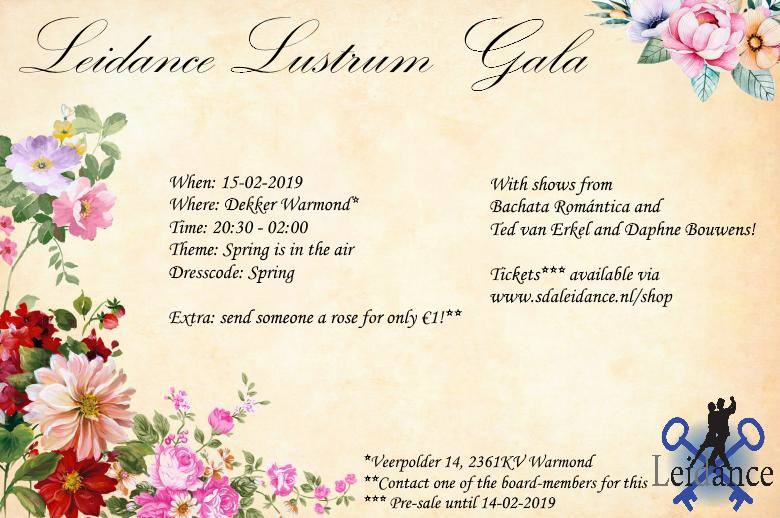 The reveal of the theme for our very first Lustrum gala ever! Leidance exists for five years now and our association is prospering. We stand at the beginning of the next five wonderful years in which we hope to grow further, gain more members, and dance even more. What way to celebrate this better than with a gala with a matching theme!